I like art workshops and tutorials. 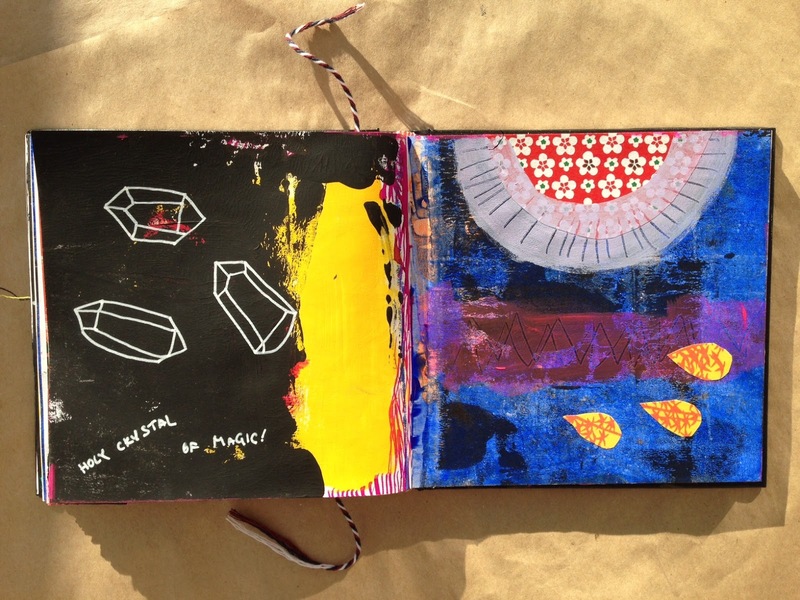 They give me new ideas and I experiment in my artjournals. At the moment I'm on a big break from taking workshops till New Year. It seems like I have a whole bag of techniques that I need to explore on my own. I want to let myself go and see in which direction it will lead me! Right now it's all about paint, roller pens and enjoying mixing colours. These pages are truly magical! !